Drummers are athletes. Playing the drums well requires the skilled use of the entire body. Unfortunately, most books on drumming focus exclusively on what notes should be played, and give little or no attention to the how they should be played. This leaves drummers with a problem. When you misunderstand technique, you will experience frustration when new techniques aren’t as easy to learn as they should be, limitation in what you can do because the techniques don’t work like they should, and injury when the extra wear and tear caused by bad technique builds up. 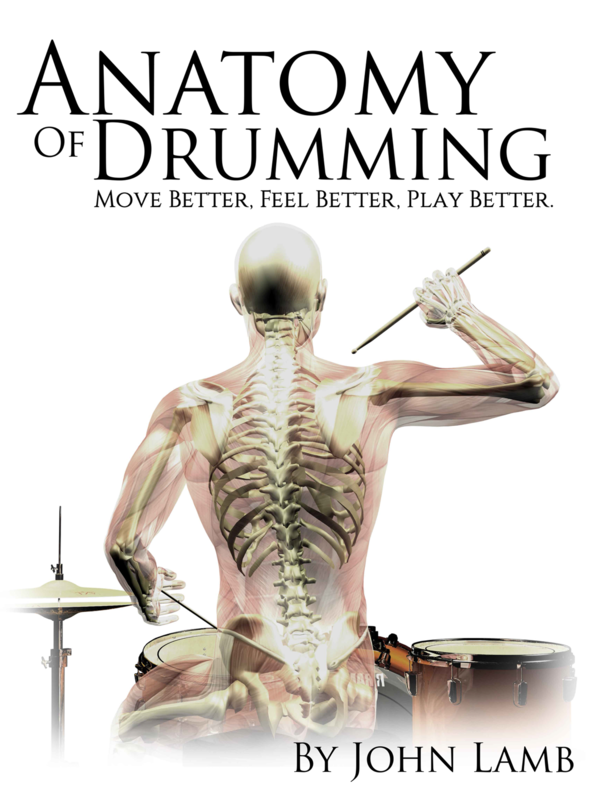 The solution is simple: Anatomy of Drumming: Move Better, Feel Better, Play Better is your guide to moving well, learning faster and avoiding injury. When you understand the mechanics of moving and how they apply to the drums, you will know for yourself how techniques work, so you can use them effectively. Anatomy of Drumming is both a description of how the body works and a prescription for how to move better. Starting with the mechanics of movement, Anatomy of Drumming takes you through what you need to know about the body and how to use it effectively. It covers the basics of anatomy and the physics of drums; how to set up the drums for your body, Moeller technique, matched grip vs. traditional grip, and many other important topics. Through learning about the proper use of the body at the drum set, you will be able to learn faster, play with better facility and reduce injury.